This is part of the Start Growing Your Income course. Don’t you wish you knew some millionaires so you could pick their brains? We did too – that’s why we started to interview them. These episodes cover a broad set of topics. Instead of trying to teach a specific thing aim to dig into the backstory of how people became millionaires. Want to create your own business? Become a Real Estate mogul? Snipe domain names for profit? We’ve got you covered! We haven't done one of these in awhile! Better Know a Millionaire is back to see if the other 1% really live that differently to the rest of us. 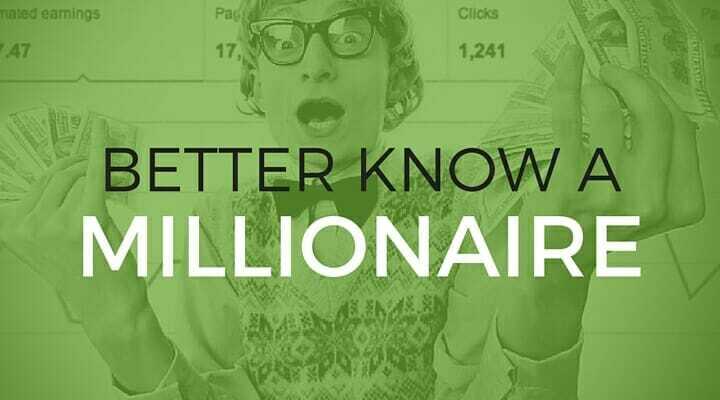 In our ongoing series, Better Know a Millionaire, we interview Nellie Akalp to discuss the legalities involved in incorporating your own business. Jim Wang became a millionaire through his finance blog Bargaineering. We talk about how much he sold the site for, how he invests and what he's up to now. J David Stein talks to us about how he acquired his wealth, how he currently invests, what he does for income in early retirement and his love for travel. Michael Epstein became a millionaire by the age of thirty. Michael will tell us how he did it and how you can too. Learn lessons from millionaire Laurie Itkin in our "Better Know a Millionaire" show. Laurie explains how she became a millionaire before the age of 40.